Last week apparently everyone was a little frightened to find out how many small, black olives it takes to yield 1 tablespoon of olive oil… it’s FORTY… as in 40… as in 4-0. Now you know. So why not just go online and do it NOW. Choose a beautiful card, specify all the type, font, envelopes, return address, etc. right from home, and they’ll be shipped right to your door. 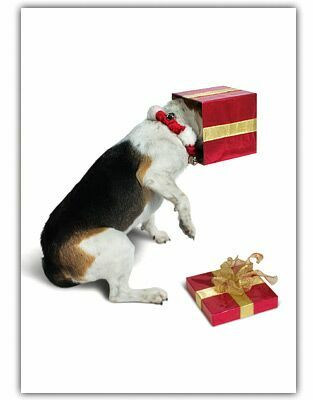 As for those who cry environmental foul on greeting cards, I say it is one of the last methods of tangible connections we get in an ever-increasing virtual world. Pay your bills online, but don’t stop connecting with your fellow man 🙂 And for some of you who haven’t been sending cards… what’s your excuse now?? You can even choose Digital Photo cards where you just upload your picture and they print it right on the card. Perhaps choose the theme of your card now, and get the family picture shot with the coordinating colors at Thanksgiving! So smart. Then you can check THAT off your list. Tip #1) OK… this will be the first of MANY cosmetic products I will be sharing. I have been spending a ridiculous amount of time really delving into cosmetic ingredients, and their pros and cons, so you don’t have to. Bottom line: If I can find a product I am happy with, that contains healthier or even less controversial ingredients than the one I was using before, I’m switching. But, since it is around and in my eyes, I wanted better. Found it. 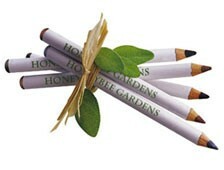 This little beauty is rated a hard-to-beat 0 on Cosmetics Database – Honeybee Gardens JobaColors Eyeliner. I’ve been using it for about 3 weeks, and it’s great. 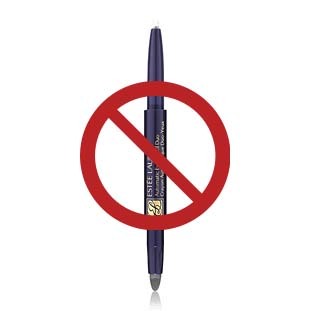 It is very soft and, like most soft pencils, may “move” on you unless you do this …. Apply a base of neutral, powder or eye shadow on the lid, then use the pencil to make a thin line right at/in the lash line, then use a fine brush to go over the line with more powder or eye shadow to smudge and blend. (This is the way I reinforce or alter the color of a brown, black or navy pencil… just use the same or different colors of shadow over the pencil.) Look at that… You look mahvelous… and healthy. “Here are my top choices with proven health benefits: green vegetables such as SPINACH, COLLARDS, KALE and BROCCOLI contain lutein and zeaxanthin, carotenoid antioxidants that can protect aging eyes from developing cataracts and macular degeneration. Cruciferous vegetables such as CABBAGE, BRUSSELS SPROUTS, CAULIFLOWER, KALE and TURNIPS contain antioxidants and other phytonutrients that reduce cancer risk. SWEET POTATOES, CARROTS, MANGOS, APRICOTS and other yellow or orange fruits and vegetables are rich in beta carotene, an antioxidant that boosts the immune system. TOMATOES, WATERMELON, PAPAYA, and PINK GRAPEFRUIT are among the red pigmented fruits and vegetables that contain lycopene, a powerful antioxidant helps fight heart disease and some types of cancer, particularly prostate cancer. The blue color in BLUEBERRIES, PURPLE GRAPES, RED CABBAGE, BEETS, and PLUMS comes from anthocyanins, phytochemicals that protect against carcinogens and may help prevent heart disease. Sometimes answers in life are hidden in plain site. October 21st was a landmark day for a number of events. Three of them are hidden right here in this paragraph. Hover here for awhile and they just may make themselves apparent. You will need to respond with exact wording in your answer to be correct. Caution… click on this ONLY if you’re ready to really laugh… turn your sound up..